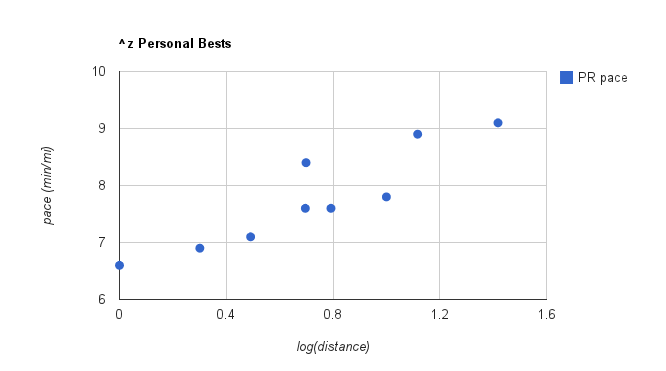 Half a dozen of the dots form a nice almost-straight line of records from 1 mile through 10 km. On the average, every time the distance doubles, my pace slows by about 0.3 min/mi. But those top three points are the anomalies, at 5 miles, the half marathon, and the marathon. Can they be pulled down to that same trend line, by more disciplined training, more mental toughness, etc. ?